USA: Building A Sustainable World: Life in the Balance. The Royal Institute of British Architects-USA (The RIBA-USA) has initiated an International Competition “” to bring architects, designers, engineers, city planners and others together in a response to our Global Environmental Crisis. The competition is being sponsored by Autodesk. Registrations until December 31st 2006. USA: 2006 International Bamboo Building Design Competition Bamboo Technologies of Maui has launched the first International Design Competition for Structural Bamboo Buildings. Some of the winning entries will be chosen for manufacture by the world’s premier builder of international building code approved bamboo homes. The competition is open to architects, builders, designers and students anywhere. Registration deadline December 31, 2006. UK: Appointment of an Architect Led Design Consultancy Team. To provide Feasibility Studies and Design Services for the Restoration and Development of an historic walled garden at Valentine Road, Bangor, County Down, Northern Ireland. Closing date 27th December 2007. Italy: Memory Park Design Comnpetition The municipality of San Giuliano di Puglia (CB), with the patronage of the Order of the Architects PPC of Campobasso and of the National Council of Architects PPC, announces a design competition at European level for the realisation of the “Memory Park” (Parco della Memoria) dedicated to the victims of the tragic earthquake that stroke the Molise Region on the 31 October 2002. Entries shall be delivered on the 20 December 2006. Norway: Sixth forms of comprehensive school, music, dance, drama – Cultural School – Bjergsted, Stavanger. New building for a cultural school and a sixth forms of comprehensive school for music, dance and drama. The new building shall be located in the Bjergsted area. Two new buildings are planned to be built; one in Sandvigå, between two existing buildings which are worthy of preservation, and one building situated west in Bjergsted. Registration by 18th Dec 2006. Spain: International competition for the Construction of an International Convention Centre of the City of Madrid (CICCM). The Madrid International Convention Center will be a meeting point for the celebration of meetings and cultural events. It will be located in the final section of the Castellana axis, in a high strategic value area of the city, recovered as a new financial center and great park, as ending of the green area formed by Parque Norte and Parque de la Ventilla. Registration by 14th Dec 2006. Poland: competition for new residence of the Silesian Museum. It is planned that new Museum will be the image of the region, the gate to Silesia. On the basis of this discussion the Marshall Office of Silesian Woivodeship (regional self – governmental authority) announced the competition for the architectural design of new residence of Silesian Museum. The applications for Competition admission may be submitted till December 11th, 2006. Ireland: University College Dublin (UCD), Ireland’s largest university, has launched a major international architecture competition for a new landmark development at the University’s Belfield campus. The Gateway Project, comprising cultural, academic, leisure and business facilities, represents the start of the implementation of a 15-year UCD Campus Development Plan. The deadline for Expression of Interest submissions is 6 December 2006. R.O.C. (Taiwan): National Kaohsiung Performing Arts Center International Competition The government of the R.O.C. (Taiwan) cordially invites innovative architects from all nations to participate in an international competition for the design of the largest Performing Arts Center complex in Taiwan, the National Kaohisung Performing Arts Center. Located in the second biggest city in Taiwan, the Arts Center will within the 65-hectare Metropolitan Park and will include three theaters and one concert hall. First Stage Material Submission Deadline December 5th, 2006.
International: The International Architecture Awards. The Chicago Athenaeum: Museum of Architecture and Design in conjunction with Metropolitan Arts Press invite entries for The International Architecture Awards®- an Exhibition and Distinguished Building Awards Program for the Best New World Architecture for 2007. The emphasis is on design innovation, engineering, use of new materials, and a sensitivity to the environment. The deadline for submissions is December 1, 2006. Apply on line at www.chi-athenaeum.org. UK: Southwark Schools for the Future. Expressions of interest are invited from architects and/or architect-led design teams for the provision of architectural services in relation to the construction and/or refurbishment of three primary schools in the London Borough of Southwark. The aim is to deliver three exemplar projects that demonstrate innovative and sustainable primary school design that will contribute to enhanced learning outcomes, as well as providing flexibility on a daily, termly and long-term basis to allow for changes in curriculum, teaching style, class size and capacity. The deadline for expressions of interest is Friday 1st December 2006. UK: Bridge Canopy Open Competition Clydebank. This new open competition, organised by RIAS on behalf of Clydebank rebuilt, invites architects to prepare proposals for a canopy over the Sylvania Way pedestrian bridge across the Forth and Clyde Canal within Clydebank Town Centre. Closing date for submissions is 17th November 2006. Canada: Nathan Phillips Square Design Competition. The City of Toronto is pleased to announce the launch of an international design competition for the revitalization of Nathan Phillips Square. The Square is the premier public space and civic gathering place for Torontonians, a leading tourist attraction for the City, and a national and provincial landmark. Submissions for Stage I of the competition must be received by November 16, 2006. USA: Scion Showroom Design Competition A design competition seeking submissions for a complete design concept for Scion’s dealerships. The first place winner will receive $5,000 and the opportunity to have their design brought to life as the next generation Scion dealership showroom. Submission deadline November 10th 2006. Commonwealth: A Small Sustainable Sports Centre Seventh International Student Design Competition 2006. Competitors are asked to design a small sustainable sports centre that will serve as a focus for a poor community. Entrants can choose a site from within their own region, but this is not mandatory. It can be located in a rural or an urban context. It can be a sports pavilion or an urban sports facility featuring regeneration. The architectural response to the site will be amongst the criteria for judging the competition. Sponsored by The Architectural Review and HOK. Submission: 10 November 2006. USA: Porcher/Jado Design Experience Contest -Porcher and JADO, makers of luxury European bathroom fixtures, are celebrating the best in home bathroom design with their first-ever Design Experience Contest. The contest is open to professional designers, who are asked to transform either a 5×5 powder room into a functional and modern space, or to turn a master bathroom into a luxurious spa-like retreat using products from Porcher and JADO. Entries deadline extended to November 8th, 2006. Russian Federation: World Mammoth Museum -international contest of architecture for the development of a World Mammoth Museum, in Yakutsk (Republic of Sakha-Yakutia, Russian Federation). A true myth in the making! The contest will end on December 18th, 2006 with the closing date for phase 1 (credentials submission) being on November 3rd. Australia: The Hobart Waterfront International Design Competition seeks visionary design proposals for one of the city’s historical sites, an area where cultural importance is reflected in a unique collection of heritage buildings. The Competition Area is a broad band of space framed by the street-grid of the city. As the place where the Hobart Rivulet met the cove, it played an important role in Aboriginal life. The safe anchorage and fresh water supply were a vital factor in the early occupation of Tasmania and the foundation of Hobart. Registration closes 3 November 2006. Denmark: International ideas competition for the Carlsberg site in CopenhagenCarlsberg A/S hereby invites all urban designers, architects, designers, engineers, artists, architects students etc. to take part in an open international idea competition for a development plan for Carlsberg in Copenhagen. The competition will run from November 1, 2006 to February 28, 2007. ARQUITECTUM 2nd Conceptual Contest “INFINITE STRIP 2006″, Each contestant will develop a project within the parameters established by the “Infinite Strip” within a Base Structure of 15 levels (90 meters in height) that will be specified by ARQUITECTUM. This element is a vertical variation of the “Habitational Unit” by Le Corbusier (specifically Marseilles) in which the modules that form part of the basic structure are developed independently as inserted “cells.” The project calls for the planning of 14 units of duplex apartments based on the “infinite strip” design method. Contest begins: August 1, 2006. Winners announced: November 2006. USA: 2006 Ken Roberts Memorial Delineation Competition. Sponsored by the Dallas chapter of the American Institute of Architects, this competition awards prizes to entries that exhibit outstanding abilities in architectural illustration, both by hand and by digital means. This annual competition, which is in its 32nd year, is open to both students and professionals. Submissions can be sent via normal mail or e-mail (using JPEG or PDF format). All entries must be received by October 31st 2006. Spain: ASCER 2006 -the Tile of Spain Architecture and Interior Design awards. Closing date for entries 31st October 2005. Sweden: The Stockholm Public Library -designed by Gunnar Asplund, it has been the city’s main library since it was inaugurated nearly 75 years ago. It is not only one of the city’s most important buildings architecturally, but the library is also a very important public building for the inhabitants of Stockholm. The aim is to ensure that the building remains to be a public library also in the future. The closing date for the first stage will be in 27th October 2006. A 3D model for the project is available at www.3doc.se. UK: 2007 Lighting Design Awards -widely recognised within the lighting industry these awards offer the opportunity to achieve recognition for innovation in lighting design and technology. Everyone from architects and dedicated lighting designers to manufacturers and street lighting engineers are recognised in the awards. Closing date for entries is Friday, 20th October 2006. Spain: Concurso de Ideas para el Diseño de Sistemas de Exposicion Modulares. El objeto del presente concurso es la selección de tres ideas de sistemas de exposición ferial modular. Concursantes: Podrán participar profesionales y estudiantes, tanto españoles como extranjeros de cualquier país, de arquitectura y de cualquier otra rama de las artes plásticas o el diseño (gráfico, industrial…). Calendario: consultas: hasta el 14 de septiembre de 2006; presentación de propuestas: hasta el 26 de octubre de 2006. France: Competition Paris Justice -The Établissement Public du Palais de Justice de Paris is launching an international ideas competition for the master-planning of the new Paris Courthouse on the Tolbiac-Halle Freyssinet site in the Paris Rive Gauche ZAC (Mixed Development Zone) under the joint patronage of the Minister of Justice, Mr Pascal Clément, and the Minister of Culture, Mr Renaud Donnedieu de Vabres. This competition is open to architects and town planners, and to architecture students. Deadline for receipt of entries – Monday 16 October 2006. USA: Santa Fe Sustainable Design Competition. A committee of young architects and affordable housing advocates has initiated an “ideas competition” in conjunction with Santa Fe Design Week 2006. The competition invites designers from around the world to apply their imagination and design intelligence to a project addressing real community needs. The competition calls for sustainable design ideas that address social health, transit-aware neighborhood planning, green building and renewable energy. The Santa Fe Civic Housing Authority intends to implement initiatives resulting from the competition, making Hopewell Mann a paradigm neighborhood and adding to the pride of Santa Fe’s greater public community. Submissions due October 15, 2006. UK: Sherwood Forest Visitor Complex RIBA Competitions is launching an Invited Design Competition on behalf of Nottinghamshire County Council and its partners, as part of its bid to the next stage of the Big Lottery Fund’s Living Landmarks grant programme. ‘Sherwood Forest: The Living Legend’ is one of six regionally, or nationally significant community regeneration projects to have been short-listed for the upper (People’s Millions) stream of the Living Landmarks funding. Expression of Interest deadline is 13.00hrs, Friday 13 October 2006. Russia: Present of Future an architectural contest with international participation from Interior Digest magazine. Award ceremony and exhibition of projects will be held in the network of the biggest exhibition iSaloni WorldWide, Russia, Moscow, Crocus Expo Complex from 12 to 15 of October 2006 (site in Russian). Finland: Järvenpää Architectural Competition. The City of Järvenpää is organising an open two-phase architectural competition for the planning of the Lepola Ristinummi area. The purpose of the competition is to get high-quality proposals for a residential area that fit into the sensitive cultural heritage by the lake Tuusulanjärvi and support the development of the town of Järvenpää. The first phase of the competition is held up to 2.10.2006 as an open competition for ideas. Switzerland: SHRINKAGE Worldwide Award 2006. Open international design competition which will result in a multidisciplinary multiuse poster to explore divulge foster sensitize awaken ‘shrinkage’ nature, culture and experience. Deadline extended until 29th September 2006. USA: Going Public Open Call for Entries The second installation of the Center for Architecture’s inaugural exhibition will showcase recent and proposed public projects in New York City, offering a comprehensive view of the scope and quality of current public work. The exhibition will present architecture, engineering, art, landscape architecture, urban design, lighting design and street furniture. A non-juried show, Going Public will offer a snapshot of where we are at this moment-and where we are headed. Exhibition opening October 10th during Architecture Week 2006, (October 6 October 12). Work must be submitted to the Center for Architecture and the online site by Wednesday, September 27th. Cyprus: A G Leventis Art Gallery, Nicosia, Cyprus. The RIBA is organising a competition to select an architect for a development in central Nicosia, Cyprus. The key building on the site is to be an art gallery, with supporting accommodation, which will take the form of luxury flats for renting plus a small restaurant. The deadline for expressions of interest is Tuesday 26th September 2006. UK: Bathing Beauties A National & International Competition for Seaside Architecture. Lincolnshire coast, UK. Competition 1: Re-imagining the Beach Hut. Re-imagine the classic British beach hut for the 21st Century as part of a ‘linear gallery’ of dramatic & beautiful new seaside architecture on a superb stretch of Lincolnshire coastline, UK. Submissions by scale model only. Competition 2: Beach Front Restaurant / Boathouse. Design a new beachside restaurant & look-out incorporating a boathouse & facilities for the Royal Life Saving Society at Chapel St Leonards, Lincolnshire. Deadline: Fri 22 Sept 2006. UK: Selection of an Architect : Maidstone Museum & Bentlif Art Gallery East Wing Development Expressions of interest from architects are invited for an exciting and ambitious £2.74m bid to improve the services and facilities at Maidstone Museum & Bentlif Art Gallery. The East Wing Development Project forms the second phase of the Museum’s re-development, following the renovation of the West Wing supported by the Heritage Lottery Fund and completed in 2003. The new development project has three key aims : the long-term preservation of the collections ; greater public involvement in the Museum and its collections ; and increased use of the Museum and its collections. The deadline for expressions of interest is Tuesday 19th September 2006. Taiwan: International Competition -Kaohsiung Waterfront Renovation Project at Wharfs 1-22. Kaohsiung City is undergoing transformation. Following the successful restoration of Love River, in October 2005 the City Government collaborated with the Kaohsiung Harbor Bureau to develop Wharves 11 to 15 of Kaohsiung Harbor to progressively implement its harbor-city merger plan. In 2007, Kaohsiung’s Mass Rapid Transit system will be operational, the city will host the World Games in 2009 and the Railway Underground Project will be initiated this year; all these efforts signify the transformation of Kaohsiung from “Industrial City” to “Waterfront City, Ocean Capital”. Submission deadline for Stage I: 18th Sept 2006. Ireland: New Headquarters for Wexford County Council. The Royal Institute of the Architects of Ireland (RIAI), is administering a competition on behalf of the competition promoters, Wexford County Council. The competition is an open two stage design contest for architectural, engineering, quantity surveying and associated services. Registration closes: 18 September 2006.
International: Aga Khan Award for Architecture. The Tenth Award Cycle, 2005 – 2007. The Aga Khan Award for Architecture, established in 1977 by His Highness the Aga Khan, recognises examples of architectural excellence that encompass contemporary design, social housing, community improvement and development, restoration, re-use, and area conservation, as well as landscaping and environmental issues. Jury includes Jacques Herzog. Identification and nomination of projects by Sept 16th 2006. USA: Imagining Penn Center: A National Student Design Competition to Plan New Life for Philadelphia’s Central Civic Space -the Ed Bacon Foundation. The competition is open to any college or university student in the U.S. studying planning, architecture, urban design, or related fields. The Ed Bacon Foundation challenges students to imagine the site’s potential, and to generate ideas for restoring this important space as a modern Philadelphia epicenter and icon. Entries are due September 15, 2006 and winners will be announced in October. UK: Invited Design Competition New Country House Hotel, Croston, Nr Chorley, S W Lancashire Architects and architect-led design teams are invited to submit Expressions of Interest for the design of a new country house hotel, circa 20-25 bedrooms, on the original site of E W Pugin’s Croston Hall in the village of Croston, S W Lancashire. The original Croston Hall was built in 1857 for the de Trafford family but was demolished in 1964. The character and quality of the surrounding woodland and pastoral landscape reflects the fact that the site has been in continuous habitation for some four hundred years. The Expression of Interest deadline is 4.00pm, Wednesday 13th September 2006. Japan: Shinkenchiku Residential Design Competition 2006 This is a competition for the Planless House. It is generally thought that the plan is a means for describing lifestyle. The fundamental principle of this descriptive technique is division through the device of walls. People understand the lines on a drawing indicating the walls as describing the essence of a house. Yet should a house be walls? Why can we not describe a house just by furniture? Why can we not describe a house just by tableware? Or what about a descriptive method using only floor textures? Or it would also be possible to describe a house in terms of air temperature or malodorous places due to wind flows. If this is investigated more thoroughly, the house could also be said to somehow become a manifestation of its era. The competition thus concerns a “planless” condition. All entries must reach the competition office no later than September 11th (Monday), 2006. Ecuador: Quito XV Pan American Architecture Biennale: Visible Cities. Brief:The BAQ/ 2006 invites all design professionals of the Americas to participate in this XV Biennale, to enable us to strengthen our professional network, generate innovative discourses and regional design proposals, compare our works, and prepare for a better future. Participation Categories and Sub-categories: Architectural Design, Social Housing, Environmental Design, Interior Architecture, Urban and Landscape Design, Interventions in Historic Sites, Unbuilt Projects, Theory, History and Critique of Architectural, Landscape and Urban Design, Periodical Publications Specializing in Design. The deadline for receiving entries in Quito has been extended to Friday, September 8, 2006 at 6:00 p.m.
XV Bienal Panamericana de Arquitectura de Quito: Ciudades Visibles Bases del Concurso Panamericano -La BAQ/ 2006 invita a todos los profesionales del diseño de América para que participen en esta XV edición. Todos los trabajos participantes serán publicados en el libro de la XV Bienal Panamericana de Arquitectura de Quito y formarán parte de la exposición de la BAQ/2006: Ciudades Visibles. Categorías y Sub-categorías de participación: Diseño Arquitectónico, Vivienda Social, Diseño Ambiental, Arquitectura Interior, Diseño Urbano y Paisajístico, Intervención en el Patrimonio Edificado, Proyectos no construidos, Teoría, Historia y Crítica de la Arquitectura, el Paisajismo y el Urbanismo, Publicaciones Periódicas Especializadas. La fecha límite de recepción de propuestas es el 28 de agosto de 2006 a las 18:00 hrs. La fecha límite de recepción de propuestas en Quito se ha extendido al día viernes, 8 de septiembre de 2006 a las 18h00. Thames Tideway ‘Opera House’ A visual landmark in the same vein as Sydney Opera house but versatile in nature -to be used as a Gallery, an Opera House, a Theatre and small exhibition centre. It will offer restaurant facilities and some unique form of promoting conservation in the area. Your entry must arrive by 07/09/2006. UK: Royal College of Art – Battersea, North Site -Design Competition Expressions of interest are invited from architect-led multi-disciplinary design teams for the development of a site at Battersea Bridge Road in London, SW11. The aim is to create a substantial second site, containing space for teaching, research, business-related activities and a range of support services. The deadline for receipt of expressions of interest is 12.00 midday on Wednesday 6 September 2006. UK: Re-inventing the Bike Shed Ideas Competition to find new, inventive solutions for bike parking and storage. Designs can be on any scale and for any end use: from a one-off locking device in your back yard, or a natty device for use in the hallway of a Victorian house, to a large scale ‘bike shed’. Solutions could be incorporated within street furniture. Judges will be looking for the most inventive solutions that push the boundaries while contributing to the overall design of the location, whether the streetscape, domestic or workplace environment.Entries must be received by 10am Monday 4 September 2006. UK: Guerrilla Tactics conference competition for Maggie’s Cancer Caring CentresEntries are sought from RIBA registered practices with a maximum of ten members of staff. The competition aims to draw out practices in a unique way, by allowing them to prove what value they could add to Maggie’s Centres were they to be commissioned to complete a building for the charity. It intentionally does not seek a design proposal, but rather an exploration of how the practice understands the client and responds to the client’s needs. Deadline for entries is 1st September 2006. UK: Wharfedale Hospital Site, Leeds. English Partnerships is conducting a two stage competition to select an architect lead design team to provide initial development option and to subsequently develop the design through the planning process. Requests to participate by PQQ fromwharfedaledesigncontest@englishpartnerships.co.uk by 31.8.2006. Australia: 7th annual Australian Timber Design Awards Entries are now open for the 2006 Australian Timber Design Awards, an annual event now in its seventh year, which promotes outstanding and innovative use of timber in a range of design and building applications. The competition is open to students, architects, builders, designers, engineers and anyone who has been involved in the production of an outstanding timber structure in the last 3 years. Entries will be received until August 31. Korea: ‘24th Space Prize for International Students of Architecture Design‘ has encouraged architecture students in creative architecture designs worldwide. The prize has served to cultivate the soil for the future of architecture. This year, SPACE GROUP is excited to host the 24th Space Prize for International students of Architectural Design. This year’s theme is “Faster and Bigger” and the application must be submitted by 31 August 2006. Korea: 6th Space Prize for International Student of Interior Design SPACE GROUP, Korea’s leading company in architecture and urban design, is proud to announce the 6th Space Prize for International Student of Interior Design. This year’s theme is “-ing,” and the application must be submitted by 31 August 2006. UK: Mixed tenure housing development -Houghton Regis, Bedfordshire The RIBA Competitions Office announce the launch of an Invited Design Competition on behalf of Aldwyck Housing Association, South Bedfordshire District Council and Luton Borough Council. As the lead partner in an innovative Public Private Partnership (PPP), Aldwyck Housing Association wishes to select an architect-led team with whom to develop design ideas for a five acre site in Houghton Regis, Bedfordshire. The Expression of Interest deadline is Wednesday 30 August 2006. Canada: 6th Peepshow Architecture Competition, Calgary. Promoting visual art, design, and architecture through a creative street presence for visual art, the annual juried PEEPSHOW competition commissions the design and construction of one pavilion every year. These temporary Artcity pavilions, scattered throughout Calgary’s downtown core, create a dialogue among designer, artist, and viewer, encouraging discourse into the fine art and the urban relationships that evolve around them. Submission deadline August 25th 2006. Germany: The Ministry for building and traffic North-Rhine/Westphalia in co-operation with the architectural association North-Rhine/Westphalia competition 2006 of the Land North-Rhine/Westphalia “Neighbourhood for living in the age” for architects registered in their home-country. Landeswettbewerb 2006: Junge Quartiere für das Wohnen im Alter Das Ministerium für Bauen und Verkehr NRW wird in Kooperation mit der Architektenkammer NRW den Landeswettbewerb 2006 “Junge Quartiere für das Wohnen im Alter” für Architekten ausloben. Mit ihm werden die neuesten Entwicklungen im Wohnungsbau zum demografischen Wandel aufgegriffen und architektonisch hochwertige Lösungen für zwei innerstädtische Quartiere in Münster und Düsseldorf erarbeitet. Der Landeswettbewerb wird als begrenzter Wettbewerb mit vorgeschaltetem Bewerbungsverfahren durchgeführt. Schlusstermin für Bewerbungen ist der 23.08.2006. UK: Mixed-Use Site including Chichester District Museum Expressions of interest are invited from architect-led teams for the opportunity to design a new District Museum, office space and a private housing scheme at Tower Street in Chichester, West Sussex. The competition is being organised by the RIBA Competitions Office. From the initial Expressions of Interest, up to six Architect-led teams will be invited to take part in a competitive interview. The deadline for receipt of expressions of interest is 12.00 midday on Tuesday 15 August 2006. UK: Open Competition: AA/ Environments, Ecology and Sustainability Research Cluster The Architectural Association and the Environments, Ecology and Sustainability Research Cluster together with supporting organisations are sponsoring an open one-stage international competition in search of innovative architectural methodologies and design-related research working towards an ever-evolving understanding of environments, ecology and sustainability. The aim of the competition is to locate new projects that consider the larger contextual issues of environmental change while formulating critical and informed responses. The closing date for registration is 7 August. USA: Montage/Arclinea Contemporary Design Scholarship Competition. Montage, Boston’s leading contemporary furniture retailer, and Arclinea Boston, the first flagship U.S. showroom for kitchens designed and coordinated by the Italian architect Antonio Citterio, have partnered to establish the Montage/Arclinea Contemporary Design Scholarship Competition. Entrants will be asked to design a contemporary kitchen/living area within the traditional, historic architecture of Boston and its suburbs. Successful designs will incorporate the philosophy represented in the work of Italian architect Antonio Citterio, particularly as expressed in his kitchen designs for Arclinea and his furniture designs for B&B Italia. Entries are due by Friday, July 21. Spain: Concurso de Ideas para El Edificio del Decanato del Campus de la Justicia de Madrid. El objeto del presente concurso es la selección de la mejor propuesta arquitectónica para la redacción del proyecto del Decanato del Campus de la Justicia de Madrid. Calendario: inscripción: hasta el 20 de julio. Italy: 1st Urban Architecture Contest “VENICE 2006″ This architectural contest is promoted by ARQUITECTUM in order to evaluate the installation of a new bridge that will replace the existing one known as the “Academy Bridge”, so that it serves not only as an axis that connects both sides of the canal and as entry portal to the “Rio Alto”, but that also becomes a “City Museum” meant to show visitors the history, tradition and architectural splendor of the city of Venice. This museum will have a basic plan that will occupy a built area of approximately 1,000 mts2, and which will have the following areas: Entry Hallway, Temporary Exhibit Hall, Permanent Exhibit Hall, Storage, Restrooms, Maintenance, Security, Offices and Cafeteria. Proposal submission deadline: July 17th, 2006. Portugal: International Design Competition “Lisbon Ideas Challenge (LIC) ­ Designing with Photovoltaics New Energy Concepts for the Built Environment”. This competition is aimed at fostering innovative ideas relevant to the development of urban structures integrating photovoltaic (PV) systems and technologies. The main novelty in this competition is that the ideas should not only have a technological potential but also a business potential and is to be developed by architects, engineers and designers with interests in new energy concepts for the built environment, either university teams and/or entrepreneurs. Entries are welcome and should be submitted by the 15th of July 2006. USA: International Achievement Awards competition: Call for Entries. Be part of the 59th International Achievement Awards competition, the most recognized award program for specialty fabric projects around the world. The Industrial Fabrics Association International (IFAI) invites your entry. Each year entries raise the standards as participates demonstrate superior work on traditional projects and develop highly technical solutions for complex projects. The awards competition is for all designers, manufacturers or subcontractors of end products described by 27 competition categories. Project entries should include photos of outstanding specialty fabric projects and descriptions of their unique and important characteristics. Entered projects must have been completed between July 15, 2004 and July 15, 2006. The deadline for submitting entries is July 15, 2006. Spain: Concurso de Ideas para el Proyecto de un Monumento a la Libertad de Expresion. Objeto: El objeto del concurso es el diseño de un Monumento a la Libertad de Expresión, para que sea erigido en Madrid, en el chaflán del edificio sede de la Asociación de la Prensa, situado en Juan Bravo 6 esquina Claudio Coello. Documentación a presentar: Se presentará 1 panel tamaño DIN-A1 más la documentación correspondiente en CD, que contendrá la reproducción de los paneles, cada uno en un archivo jpg. Calendario: inscripción: hasta el 13 de julio 2006. Spain: Concurso de Ideas para la Definicion de tres Itinararios Urbanos en el Centro de Madrid. Objeto: El objeto del presente concurso es la definición urbana de los recorridos determinados en el Plan de Itinerarios Urbanos. Se trata de una serie de Itinerarios caracterizados por la capacidad de establecer una especial relación entre el ciudadano y los tiempos de vivencia de la ciudad: un itinerario deportivo, otro cultural y otro lento. Three Urban Destinations in Downtown Madrid. The main objective of this competition is the urban definition of the main corridors indicated on the Urban Destination Master Plan. Is about a series of destinations characterized by the capacity of establish a special relation between citizenship and the time experienced in the city: a sporting destination, a cultural destination and other slow destination. Registration: Till July 13, 2006. 1. ACADIA Award for Emerging Digital Practice. This award recognizes creative design work that advances the discipline of architecture through development and use of digital media. The award honors extraordinary individuals at the beginning of their careers. 2. ACADIA Award for Innovative Research. This award recognizes innovative research that contributes to the field of digital design in architecture. The prize distinguishes research with the potential to transform contemporary architecture. 3. ACADIA Award for Teaching Excellence. The Award for Teaching Excellence recognizes innovative teaching in the field of digital architecture. Teaching approaches that can be adopted by other educators are recognized in particular. 4. ACADIA Society Award. This award recognizes extraordinary contributions and service to the ACADIA community. Nominations due by July 10, 2006. UK: 2006 Brick Awards sponsored by the Brick Development Association (BDA). Designed to highlight excellence in the architectural, engineering and landscape applications of brick, the Brick Awards are in eleven categories that cover housing, building & landscape, and technical and craft. Entries must arrive at the BDA by Friday 7th July. Canada: Market Square Urban Design Competition for Stratford, Ontario. The Market Square Advisory Committee of the City of Stratford is pleased to announce the Stratford Market Square Design Competition. Professional designers, architects and planners have been invited to prepare urban design proposals for the Market Square site. The final deadline for registration is on July 7th 2006. Czech Republic: National Library of the Czech Republic -An international project competition in two phases is launched for the design of the new National Library of the Czech Republic in Prague. This building of 50 000 m2 will house the collections of the modern period as well as the National Library services. It will be built in the Borough of Letna within the protected sector of the city of Prague. In conformity with the UNESCO-UIA regulations, this competition has been approved by the International Union of Architects UIA. Deadline for reception of registrations 30 June 2006. UK: Best Never Seen -an unprecedented initiative dedicated to identifying and paying tribute to exceptional work and ideas that have never seen the light of day. Companies and individuals are invited to submit work that has never been fully realised. Judging panels consisting of immensely respected individuals will select the best work, finally allowing it to bathe in the limelight it deserves. A TV series, book, exhibition, and awards event dedicated to the work are currently being planned for. Entries must be received by 5pm 30th June 2006. UK: Sports Academy : Reinvigorating Scunthorpe Central Park -Open Design Competition. The RIBA Competitions Office and the Landscape Institute are pleased to announce the launch of an exciting new design competition for the development of new public sports facilities and reinvigoration of Central Park in Scunthorpe, North Lincolnshire. The Competition “Sports Academy: Reinvigorating Scunthorpe Central Park” is being promoted on behalf of North Lincolnshire Council in partnership with Yorkshire Forward as part of its Renaissance agenda for Scunthorpe. Stage one submission deadline is 27th June 2006. Iceland: Vatnsmyri Airfield Site in Reykjavik -The City of Reykjavik is issuing a call for ideas on the planning of Vatnsmyri, a 150 hectare airfield site. The goal is to maximize the opportunity offered by Vatnsmyri, its size and strategic location near the center of Reykjavik, the northernmost capital city in the world. It is an opportunity to strengthen and enlarge the inner city for the 21st century, providing quality and a strong sense of community. By creating a dynamic and contemporary urban fabric with the flexibility required for research, technology and knowledge based enterprises, mixed with housing and new residential forms, Reykjavik will strengthen its international role and competitive edge. In this Call for Ideas, up to eight teams will be commissioned to develop a plan for the Vatnsmyri area. The submission deadline is 23 June 2006. Hong Kong: The International Architectural Design Competition for the Hong Kong Design Institute Deadline for registration 16.6.06. Italy: ORTUS ARTIS 2006 – A Garden for the Carthusian Monastery of Padula. The Carthusian Monastery of Padula is located approximately 100 km south of Salerno. This fascinating architectural complex was built in phases beginning in 1306 and currently attracts over 200.000 visitors each year. The Carthusian Monastery, recognised by UNESCO as a World Heritage Site, occupies 51.000 sq m and includes covered spaces, cloisters and gardens, all of which have been fully restored. Over time the site has become the symbol of the continuous osmosis between a life of contemplation and everyday experience, in perfect equilibrium between asceticism and creativity. The Soprintendenza BAPPSAE of Salerno and Avellino is promoting an International Competition for the creation of a garden in cell n°25, currently under restoration. Like the gardens in the other cells, cell n°25 will also be accessible through the portico of the principal courtyard, with its scenic backdrop of the city of Padula on the hillside, in addition to being visible from outside the perimeter wall. Completion of registration and self-publication of projects: June 15, 2006. USA: Designing with Roses competition for professional and student landscape architects and designers. This competition is designed to help raise visibility for roses with garden enthusiasts, landscape architects and other professionals associated with the landscape and garden industry by encouraging entrants to submit projects (built or conceptual) that incorporate roses as a core design element. Entry forms must be postmarked by June 15th and entries received by July 7th 2006. Italy: Progetto La Venaria Reale, Regione Piemonte -competition tender for the project development and the realization of the museographic presentation and multimedia productions and their maintenance, production of audiovisual content and multimedia applications, as well as the design and execution of interventions to complete the construction and installations of the building named “Galleria del Paesaggio” located in Borgo Castello – Parco della Mandria (Venaria Reale), including safety coordination and works supervision. For more information contact us 0039.011.4322674 or fax 0039.011.4322791 or web siteswww.regione.piemonte.it or www.lavenariareale.it. Ask for Fucini Carlo, Repetto Sabrina and Francesca Imarisio. Time limit for receipt of requests to participate: 7th June 2006. USA: Architecture and The Mail. A collaboration between Jeannie Kim and Hunter Tura, The Architectural League of New York and 1000 designers and 1000 thinkers. Our proposal is simple: We will produce a series of 1000 postcards, each depicting a single unpublished image from a relatively unknown designer and arrange for them to be sent to one individual of a selected group of in·uential architects, urbanists, academics, curators and cultural critics. A Global Call for Images. Our hope is that we will receive images from all over the world and randomly disseminate these images back into a global context, making unlikely connections and creating unforeseen acquaintanceships. While this is admittedly a utopian proposal, our aim is to connect fresh ideas with those individuals who contribute to the development of independent careers in architecture. At the conclusion of the mailing, we will collect all 1000 images for a catalogue and exhibition with comments from selected recipients. The deadline for entries is 5 June 2006 at 11:59pm, EST. South Africa: South Bank Competition; Stellenbosch – South Africa; open, 2-stage competition, sponsored by Spier Holdings (Pty) Ltd. How can new spaces come into being in the global south that simultaneously acknowledge the creativity of its inhabitants, the abundance and fragility of its natural settings, and the dynamics of urban growth? This competition aims to produce visualisations of new ways of living, learning and working on a site in South Africa that will serve as a model for sustainable communities elsewhere on the continent and beyond. The South Bank project will bring together residential accommodation with facilities for arts production and performance in a setting defined by ecological conservation. In the first phase, Image/Bank, competitors will be asked to work across the traditional disciplinary boundaries of architecture, urban design, curatorial practice, and environmental practice to create a series of compelling visions for the development of the South Bank site. Ten premiated entries from this phase will be invited to enter the second phase, South/Centre, in association with South African based architectural and urban design practices of their choice, to develop the initial visions into designs for the core buildings, along with spatial guidelines for the phased development of 50ha of built and 150ha of landscape site. Registration deadline 1st June 2006. UK: World Habitat Awards 2006. Established by the Building and Social Housing Foundation (BSHF) in 1985, the World Habitat Awards seek to identify practical and innovative solutions to current housing needs and problems around the world. Two awards are given annually, one to a housing project from the global South and one from the North. The awards are open to all organisations worldwide, including central and local governments, NGOs, community groups, research and academic institutions and the private sector. An award of £10,000 will be presented to each of the two winners at the annual United Nations global celebration of World Habitat Day. Stage I entries must be received by 1st June 2006. Russia: The Euroasian Premium 2006 - The Annual International Festival of Architecture and Design. Organizer: The Publishing House Univer Press”. Fabulous and universal event to find, award and promote your pioneering projects as long as we deal with innovative architectural and design ideas. Various contests and doings of wide profile which are made to extend cooperation between the Ural school of architecture and design and architects and designers from around the world. A good way to make you get together and more. Further info is available by request to: konkurs@upress.ru Closing date: June 1, 2006. Italy: “glassdressing“, the Seventh edition of the International Design Contest Trieste Contemporanea which, as of this year, is under the patronage of CEI (Central European Initiative). glassdressing – Seventh International Design Contest Trieste Contemporanea The designers of 21 countries from Central Eastern Europe (Albania, Austria, Belarus, Bosnia Herzegovina, Bulgaria, Croatia, Czech Republic, Estonia, Germany, Hungary, Italy, Latvia, Lithuania, Macedonia, Moldova, Poland, Romania, Serbia and Montenegro, Slovak Republic, Slovenia and Ukraine) are called to apply and submit a project for a GLASS JEWEL. Deadline: May 31st, 2006. UK: Reinventing the Bike Shed -an International Ideas Competition for Students. Blueprint, Feilden Clegg Bradley Architects, Cabe and Southwark Cyclists in conjunction with The London Architecture Biennale, Architecture Week, National Bike Week, Sustainability Week and the London Design Festival, are launching an ideas competition to devise new solutions to the problem of cycle parking. They are looking for inventive bike storage solutions for urban living. On any scale and for any end use, from a one-off locking device in your back yard to a large scale ‘bike shed’. The designs can be for single use in any location or be oriented more towards ‘high capacity’ cycle parking. Solutions could investigate ways of accommodating bikes in small spaces, such as an inner city flat, or retrofitting cycle parking in offices, schools and public venues. They could look at ideas for innovative and secure bike parking in the public realm or consider specialist veloparks with counter service and integral showers. Or they could consider solutions we haven’t even dreamt of. Hand in by 5pm on Wednesday 31 May. Italy: 1st TAP design contest - Promoted by Webert, in occasion of “ExpoBagno 2006″ that will beheld in the pavilions of the New Fair of Milan from 28th February to 4th March 2006, will be happy to offer to its public the first contest for the planning of a new mixer with a single command. The objective of the company is to invite the Designers, who will want to participate at the initiative, to present new ideas which are also innovative and original. The contest is opened to both professionals as well as students , who wish to express their own creativity in a project which will then become reality, with a production in series. La scadenza per le iscrizioni è il giorno 30/05/2006. Switzerland: Riea Book competition A competition organized by Riea.ch, the Research Institute for Experimental Architecture, in order to select authors for both the Riea Book Series and the Riea Concept series. The Competition, which will be organized every two years, selects authors for both of the series, reference is given by the Riea books which are allready out. www.riea.ch Closing date: May 30th 2006. UK: The 2006 LABC National Built in Quality Awards. Each year, throughout the UK, LABC organises Built in Quality Award Schemes that identify good standards of building which can qualify for the National Built in Quality Awards which are held in London. The deadline for entries is Friday, 26 May 2006. UK: reboot:bbc.co.uk is a competition to redesign the BBC homepage, win some prizes and get yourself noticed. “But what are we after ? We want to allow Internet users to go into their own BBC space containing all the content they’re interested in, all the TV shows they like and all the things they’ve played with on the Web. We need to come up with a personalised BBC homepage that will provide users with a starting place for their journey through BBC content and beyond.” The closing date is May 25th. USA: The Second Annual Benjamin Moore HUE Awards Call for Entries. Color is the lifeblood of design. And, in 2006, recognition is being paid to architects and interior designers whose work consistently is representative of the power and drama of color-professionals who have used color innovatively creatively… therapeutically impressively. Benjamin Moore, a leading color authority for more than a century, invites you to enter the Second Annual Benjamin Moore HUE™ Awards. For detailed instructions and to download an entry form, please visit www.benjaminmoore.com, under Professional: Architects & Designers. Deadline for entries is Friday, May 19th 2006. Australia: North Sydney Centre Bus Shelter & Canopy Entrance Design Competition. North Sydney Council invites urban designers, planners, architects and landscape architects ro participate in a design competition to select the highest quality architectural and design solution for the development of the new bus shelters and canopy entrance to Greenwood Plaza/North Sydney Railway Station. The competition will be held in Stage one commencing from 23 March 2006. Submissions must be lodged with North Sydney Council no later than 5pm, 19 May 2006. USA/Canada : 2006 Benjamin Moore HUE Awards. Given annually, this program recognizes architects and designers for work celebrating color in exterior and interior projects in the categories of commercial and residential. Submissions are open to architects and designers based in Canada and the U.S. Submissions must be received by May 19, 2006. USA: Parkside pedestrian Bridge Design Competition Notice. The Anacostia Waterfront Corporation (AWC) is seeking to pre-qualify three to five firms/teams to participate in a design competition for a new landmark pedestrian bridge. AWC is coordinating a limited-entry design competition for the construction of a new pedestrian bridge connection for the Minnesota Avenue Metro Station in Northeast Washington, DC. The bridge will allow a project which consists of 2,000 new housing units and 750,000 square feet of commercial space to utilize Transit Oriented Design principles of higher density, reduced parking and pedestrian oriented retail. A competition stipend of approximately $5,000 will be awarded to each of the selected participants to complete a concept design entry for the design competition. AWC, along with its partners, the District Department of Transportation (DDOT) and the Washington Metropolitan Area Transit Authority (WMATA) intends to enter into contract negotiations with the chosen winner of the competition to provide professional design services for the bridge construction project, which has a current estimated total project cost of $15 million. Request for Qualifications by May 15, 2006. Italy: OLED Design Contest. When the OLED (Organic Light Emitting Diodes) becomes able to substitute the traditional lighting systems, the lighting world will be able to realize unbelievable solutions. Taking advantage of the absolute innovation of the OLED technology, the PPML company has organized an idea competition in order to find original solutions that are suitable to exploit the peculiarity of this extraordinary lighting product. The contest is open to everybody but it is mainly targeted for Architecture and Design students and professionals. Applications to enter by 12th May 2006. USA: Request for Qualifications Arch Grounds Connector Project St. Louis, Missouri. The Danforth Foundation is inviting individual designers, design firms or teams to submit design qualifications to design an important public space and streetscape that are part of the Arch Grounds Connector Project. This space would cover all or portions of Interstate 70 where it fronts the Gateway Arch designed by Eero Saarinen. A complete description of the scope of work and submission requirements can be downloaded at www.arcturis.com. A pre-submittal meeting will be held on Friday, April 28, 2006, and respondents should submit one electronic PDF copy on a labeled CD, 10 bound color copies and one unbound copy of their proposal by 3:00 PM local time on Tuesday, May 9, 2006. USA: inside::out – Weaving Arts into the Urban Fabric, - A National Open Design Competition Sponsored by the Boston Center for the Arts. The competition will transform the Tremont Street plaza and other public spaces surrounding the BCA, which occupies an entire city block from Clarendon Street to Berkeley Street in Boston’s historic South End. The overall objective of inside::out is to develop a design for the public spaces surrounding the BCA that will bring the arts and activities that occur inside out into the community while simultaneously drawing the public into the BCA complex. Registration is open to all interested persons within the United States regardless of background or training. The deadline for entrant questions will be March 6th, answers will be posted online March 13th, “Ideas” submissions are due May 9th. UK: Coleraine Regional Museum &/or Library: Competitive interview selection process The RIBA Competitions Office is pleased to announce the launch of a competitive interview selection process on behalf of Coleraine Borough Council. Suitably qualified, Architect-led teams are invited to submit Expressions of Interest for a new Regional Museum and/or Library within the historic Market Yard in Coleraine’s town centre. The new Regional Museum and/or Library should enable the local community and tourists to enjoy, explore and engage with the rich history of Coleraine and the surrounding area. The Expression of Interest deadline is 12.00 noon on Friday 5 May 2006. Saudi Arabia -International Urban Design Competition. The High Commission for the Development of Arriyadh chaired by HRH Prince Salman Bin Abdulaziz, the Governor of the Arriyadh Province was established in 1975 with the mandate of the strategic planning, coordination of transportation and infrastructure development, and the development and management of urban, economic, architectural, heritage and cultural programs of Arriyadh, the capital of the Kingdom of Saudi Arabia. The High Commission is organizing the 3rd International Housing Symposium titled “Neighborhoods are more than houses” being held under the auspices of HRH Prince Salman Bin Abdulaziz, and held on March 25 to 28, 2007 in Riyadh, Saudi Arabia. One of the main activities in the symposium program will be an international urban design competition titled “A Neighborhood . . . Residence and Life “. The registration for the competition will be until May 3rd, 2006 and the question time till May 10th, 2006. Spain: Concurso de Ideas Centro de Arte Actual coleccion ARCO for the restoration of an ancient warehouse (Matadero Madrid) to house the future headquarter of the “Centro de Arte Actual Colección ARCO” (exhibition place related to the International Contemporary Art Fair “ARCO”). Inscripcion until 4th May 2006. UK - River Avon Footbridge, Stratford-upon-Avon. Expressions of interest are invited from architects and engineering consultants for the design of a new footbridge over the River Avon, in Stratford-upon-Avon. The competition is being organised by the RIBA Competitions Office on behalf of Warwickshire County Council. The competition seeks design proposals for a unique and world-class landmark bridge that will complement the regeneration of Stratford-upon-Avon Waterfront and the Royal Shakespeare Theatre. The new bridge will improve pedestrian and cycling facilities as part of a comprehensive masterplan to regenerate the waterfront area. Designs should blend attractively with the waterfront, the theatres, and two other existing ancient bridge structures, the Clopton and Tramway bridges. The deadline for expressions of interest is Wednesday 3rd May 2006. USA: GENESIS: AIA Chicago, an international ideas competition by to solicit concepts for its new office. While the location and space have not yet been selected, the new office has the potential to accomplish several key goals of the chapter. Among these are, creating a more inviting space for member interaction, creating a space that is more accessible and visible to the public in order to strengthen our connection with the community, and designing a space that reflects who we are and what we do as a profession. Registration Ends: Monday, May 1, 2006. China: New Silk Road cultural park in Xi’an, China./ 9 international ideas competitions. World renowned as the city of the Terra Cotta Warriors, Xi’an is one of the Four Great Ancient capitals of China, having hosted 13 dynasties in China’s history. Formerly named Chang’an, the current Shaanxi Province capital was the origin of the ancient Silk Road. The Silk Road came into being in Han dynasty, and prospered throughout the Tang dynasty. Crossing through the Middle East while anchoring Europe and Asia, it played an important role in redefining political relations, economic trades, as well as cultural exchanges between the East and the West. Echoing the Silk Road historical impact on cultural exchange between Asia and Europe, the New Silk Road cultural park will host 9 innovative cultural venues that will celebrate each culture of the Silk Road, while exploring the impact of intensified global communication and travel upon the merging of cultures. Registration is now open and it ends on May 1rst 2006. After registering by email at newsilkroad_reg@ijb.ca, the interested teams will receive the detailed application procedure. Russia: Iakov Chernikhov International Foundation (ICIF) announces for 2005-2006 the award of the Iakov Chernikhov Prize in the field of conceptual architecture. The Iakov Chernikhov Prize is awarded every two years to young masters of contemporary architecture for the best architectural concept (designs, buildings, experimental works, architectural fantasies, sketches). The idea should combine an innovative response to our time and simultaneously offer a professional challenge to the future. Age requirement for nomination: ±40. The prize is intended to increase awareness of the creative heritage of Iakov Chernikhov and the Russian avant-garde, as well as to attract international attention to the international architectural project competition. As defined by the directors, the first competition and Prize will be structured as a festival comprising awards in several specific areas. Registration by May 1st 2006. - the Museum intentionally projects its presence into the city’s public space. Deadline for applications for admission extended to 30th April 2006. Taiwan: Eternal Golden Castle Historic Parks Masterplan Competition The Parks of Fort Erh-Kun-Shen are located inside the National Anping Harbor Historic Park, which is now being developed by the Tainan Government; they are part of the waterfront green belt area in the Historic Park, and also the largest parks in the new Anping city district. The total size of the competition area is approximately 20 hectares. Overall, the Organizer would like to emphasize the following points and to address some general spatial requirements : An unique waterfront landscape that integrates with the surrounding environment shall be created; individual architecture and landscape should be unique in their qualities, yet the relationship among them should be strengthened at the same time; ecological conservation as well as waterfront recreation should be met, to create a good interface between the park and the harbor. Submission deadline for Stage 1 Concept Competition 28th April 2006. Germany: arch.stars architecture competition by students for architecture students studying at German and international universities, colleges and art schools to take part in this open competition. The organizers of arch.stars present the 3rd student-competition-festival | Cottbus 2006, taking place from April 28th to May 1st. Italy: Celebration of Cities 2 Toward a new urban democracy -a purely internet competition, launched by the UIA The competition has two levels, national and international. All the operations will take place through the Internet, in the complete respect of anonymity. The Consultation is organised by the CNAPPC (Consiglio Nazionale Architetti, Planificatori, Paesaggisti e Conservatori), the UIA Italian Section, in collaboration with the Italian magazine L’ARCA. Closing of the period for the activation by the participants of the telematic procedure for registration and simultaneous transmission of the documents 27 April 2006 – 16.00 GMT. Korea/Singapore: International Architecture Olympiad in Asia. Korea / SingaporeAn initiative of the FIKA, UIA Korean Section, supported by the UIA An architectural contest for high school students in Korea and Singapore. The aim of this consultation is to discover the architectural design talent of high school students and to offer these young adolescents and the public at large an opportunity to get a better understanding of architecture, urban environment and environmental resources. The International Union of Architects supports this initiative. The long-term ambition for this project is to extend it to universities in other countries and make of it a truly international event. Registration period: until 21 April 2006. Denmark: Prequalification of architect firms for “interview-competition” for the building development of the “Brewery Site” in Copenhagen. The Realdania Foundation invites architect firms to apply for prequalification for the subsequent interview-based competition. This is for the selection of an architect firm for the programming and design of a building of exceptional quality on the “Brewery Site” in central Copenhagen. The building is to house the Danish Architecture Centre, a café, a restaurant and other public facilities. The building is also to include office space for among others the Realdania Foundation itself. Furthermore, the building project is to include approx. 30 residential units. The total floorage of the building is estimated to be 17,000 sq m. The establishment of a large underground public parking facility is expected. Realdania is seeking a highly qualified architect firm of international repute to serve in the development of this project, in order to ensure the realization of the full potential of the task at hand. The desire is to select a collaborating architect firm early on in the process, to draw on the firm’s competences from the very onset of the programming and conceptual development of the building and the surrounding urban space. The program for the prequalification and selection of an architect firm can be found on the websites of both the Realdania Foundation www.realdania.dk and Realea A/S www.realea.dk. Applications for prequalification no later than 21 April 2006.
new USA: New York Designs 2006: Lean and Green The Architectural League created the New York Designs lecture series in 2003 to provide a forum for the presentation of innovative and accomplished built work in New York City. This year’s series will spotlight small projects that use the challenge of environmental sustainability as a catalyst for architectural invention. Individuals or firms are invited to submit one to three projects built in New York City to be presented in the Architectural League’s New York Designs lecture series. Submissions must be postmarked (not metered) by Tuesday, April 18. USA: urban-open: A competition for Chicago’s Legacy of Sustainable Communities The Chicago Chapter of the U.S. Green Building Council, Archi-Treasures, Bethany Brethren Community Center, the Garfield Park Conservatory Alliance, and the AIA Young Architects Forum are proud to announce urban-open, a two-phase, open, international architectural competition, with the objective of honoring Chicago’s commitments to sustainability and community development by designing then creating a space defined sculpturally, architecturally and naturally. Phase one entries due April 15, 2006. UK: Clifton Bridge Competition -The Clifton Suspension Bridge across the Avon Gorge in Bristol is the iconic reminder of IK Brunel’s genius. But could it be bettered today? To celebrate Brunel’s 200th birthday this year, New Civil Engineer magazine and the University of Bristol are hosting the Clifton Crossing Competition 2006 – a re-run of the 1831 competition as a challenge to the modern profession to communicate their innovative ideas to the public, especially young people. Closing date 9 April 2006. As a web based sculptural project, utopian in spirit, The Building of Art seeks to gather work internationally from artists, designers and architects creating a conversation between disciplines. This is a socially based, public art opportunity to conceptually and thematically breathe new life into the existing building through alteration of the facade and public spaces. The renewed building will have a far reaching effect as a positive inspiration for students, faculty & the citizens and visitors of the City of Chicago. The shared language of art and architecture will share an interesting dialogue in the selection of the finalists for the RFP. Finalists proposals will be published in a catalogue, as well as the finalist will be invited to lecture at the School of The Art Institute of Chicago. What can the artist create when the city is the studio? Europe: Schindler “Access for All’ Award Architecture Competition 2005/06. Paris is the scene of the second Schindler “Access for All” Award Architecture Competition 2005/06. Under the motto “Removing Barriers to Culture”, the competition is now open and numerous architecture students across Europe are already working on solutions for an obstacle-free Museum Mile in Paris. The task is to make the Palais de Tokyo and the nearby museums into an inviting and easily visited integrated area that is accessible to all, irrespective of disabilities. The Schindler Award Architecture Competition 2005/06 is open to students in their higher years at university schools of architecture in Europe. Students can register for the competition online at www.schindleraward.com until March 31, 2006, and submit their entries by July 14, 2006. Spain: Caja de Arquitectos Foundation – Barcelona Call for 2006 The Foundation offers 20 scholarships for architectural practise in European Studios. Aspirants: Spanish young Architects or Students of Architecture. Theme: Working in the Limits?. Geographic limits and its determination in Architecture. Calendar Limit: May 2nd , 2006. La Fundación Caja de Arquitectos convoca 20 becas destinadas a la realización de prácticas en estudios europeos de arquitectura. Candidatos -Estudiantes de Arquitectura y arquitectos recién titulados. Tema: Trabajar el límite? Fecha límite 2 de mayo de 2006. USA: 2006 Leading Edge Student Design Competition seeks to support and enhance the study of sustainable and energy-efficient building practices in Architectural Education. Now in our 13th year, we invite students and instructors of Architecture and Design to use the competition as a framework to explore the use of new materials and strategies for building and the integration of aesthetics and technology for high-performing, cutting edge architecture. This year the competition will focus on public buildings in the coastal environment of Southern California. Students entering Challenge 1 will design an Environmental Museum and Interpretive Center, and students entering Challenge 2 will design a Park Office and Snack Bar. Both buildings will be located in the new Orange County Great Park in Irvine, California. Registration Deadline: March 31, 2006. Denmark: The Culture Yard The announcement of an open, international design competition for architects in December 2005 is an important step towards the realization of the Culture Yard. The focus of competition is the stage 1 of the Culture Yard, which includes a new library, a theatre- and concert hall as well as a café, meeting- and conference facilities and a media workshop. Submission: 28 March 2006. UK: New Visitor Centre at Beamish, The North of England Open Air Museum The RIBA Competitions Office is launching an Invited Design Competition on behalf of Beamish, The North of England Open Air Museum, with funds provided by the County Durham Economic Partnership. Beamish is an internationally acclaimed, award-winning open air museum set in 300 acres of beautiful County Durham countryside. The museum is devoted to the preservation and presentation of all aspects of life in North-East England during the 19th and 20th centuries. Architectural Practices are invited to submit Expressions of Interest for a project to provide a new visitor centre for Beamish. The new centre will form a ‘gateway’ for visitors arriving at Beamish and a key objective is to welcome and enhance visitors’ experience of the museum. The winning design should be innovative, exciting and enhance the overall ‘Beamish experience’ by acting as a landmark building. The overall budget for this project is c.£6m. The Expression of Interest deadline is 14.00 GMT, Wednesday 15 March 2006. UK: Crystal Palace Regional Sports Centre Design Competition. The London Development Agency (LDA) in conjunction with other Stakeholders, is launching a competition for outline design for a new Sports Centre within the historic Crystal Palace Park. The project will comprise of outdoor athletics facilities and an aquatic centre, both capable of hosting competitions to a regional level as well as providing a significant facility for athlete training and as a leisure facility available to the community. The Centre will provide facilities in accordance with the National Facilities Strategies for both athletics and swimming supported by Sport England and the National Governing Bodies for Sport. The current outline budget cost for the project is 51 000 000 GBP. Time-limit for receipt of projects or requests to participate: 15th March.2006. Europe: European Prize for Urban Public Space 2006. The Centre de Cultura Contemporània de Barcelona, the Institut Français d’Architecture (Paris), The Architecture Foundation (London), the Nederlands Architectuurinstituut (Rotterdam), the Architekturzentrum Wien (Vienna) and the Museum of Finnish Architecture (Helsinki) have announced the Fourth European Prize for Urban Public Space, which is to be awarded in July 2006 in Barcelona. This is a biennial competition that aims to highlight the importance of public space as a catalyst of urban life, and to recognise and foster investment by public administrations in its creation, conservation and improvement, while also understanding the state of public space as a clear indicator of the civic and collective health of our cities. The fourth award of the Prize is now announced in keeping with the aim of highlighting and making known the major works of creating and remodelling public spaces that have been completed in Europe between 2004 and 2005. Projects to be presented by 15th March 2006. Norway: Norwegian Wood invites applicants to pre-qualify for architectural services for 15 exciting building projects in Rogaland, Norway, where the main theme is innovative use of timber. Stavanger is the largest timber city in the western cultural hemisphere and European Capital of Culture in 2008. The deadline for submitting complete applications for pre-qualification is10th March 2006. USA: ‘shelter in a cart’ -design a cart that can provide shelter and storage. Urban homeless use carts to carry their possessions and to collect goods (like bottles, cardboard, etc.) that they then return to various recyclers in exchange for cash. this provides a small and valuable income. it is essential that your cart design not only accommodates all these functions but that it is affordable (for production and for private parties or charity organisations who wish to donate them).designboom aims to bring together a diverse collection of the brightest creative minds around the world and, in doing so, raise the importance of this issue globally. Participation is free. Deadline for entry submission is March 10, 2006. UK Architecture Sans Frontieres and ARCHAOS Design Primer Competition for an AIDS orphanage in South Africa. The purposes of the competition are to generate ideas or a design primer to inform and inspire architects working in this field, raise awareness about the problem of AIDS in Southern Africa and to raise money towards the building of an AIDS orphanage in South Africa. The competition is being run in conjunction with a local charity working with AIDS orphans in South Africa, Hearts of Hope (www.heartsofhope.org.za). Registration for the competition closes on the 03 March 2006, and the final submission deadline is 27 March 2006. RIBA chartered members and International Fellows are eligible to enter all three categories. 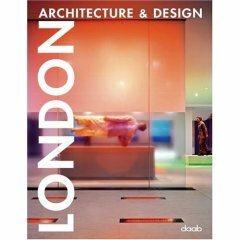 Award winners will be eligible for a series of special awards, to be presented at the RIBA Stirling Prize Dinner in London on 14 October 2006. Winners of RIBA Awards and RIBA European Awards will be eligible for the RIBA Stirling Prize and for the Stephen Lawrence Prize. Winners of RIBA International Awards will be eligible for the Lubetkin Prize, a new award for the best building outside the EU by an RIBA member. Buildings must be completed and occupied between the dates of 1 January 2004 and 2 March 2006.
new USA: A House for an Ecologist: A Design Ideas Competition Competition Sponsors: AIA Committee on Design + AIA Committee on the Environment. Sustainability has become a significant force in every area of human enterprise. As it is normally practiced in design, however, it often is seen as a purely technical or ethical agenda and not as an aesthetic one. In the construction industry, efforts to improve environmental performance have focused primarily on the science of building and neglected the art of architecture. How can environmental innovation contribute directly to design excellence? The AIA challenges architects and students everywhere to propose a unique dwelling that combines integrity and inspiration. Registration deadline: March 1, 2006. USA: Designing the future of New Orleans. An international competition for new housing in New Orleans. Sponsored by Architectural Record and McGraw-Hill Construction in partnership with Tulane University School of Architecture. The dual competitions are: (1) New Orleans House Prototype, open to current architecture students; and (2) High-Density on the High-Ground, open to everyone. Participants in these competitions will design much-needed housing for the city of New Orleans. The first competition will generate proposals for a house prototype, variations of which can be replicated throughout the city. In this competition, the house prototype will be demonstrated as an affordable single-family home on a typical New Orleans lot. The second competition will generate a 140-unit housing community with mixed-use components on a high-ground site by the Mississippi River. Winning designs will be published in Architectural Record and presented at the 2006 AIA Convention and Expo. All submissions must be received no later than March 1, 2006. USA: Inside:Out -Weaving Arts into the Urban Fabric The Boston Center for the Arts is sponsoring a two-stage, national open design competition for its public open spaces in Boston’s South End neighborhood. Set at the crossroads of widely divergent social groups and communities, the Boston Center for the Arts’ campus includes theatres, art galleries, artist studios, the Boston Ballet, restaurants, residences, and the iconic Cyclorama in a tightly knit urban block that connects its many publics through the performing and visual arts. The competition seeks innovative ways to spatialize the BCA’s mission by bringing the inside out and by weaving arts into the urban and social fabric of the Boston. Entrants will be asked to consider how public space design can expand the BCA’s presence in the city, provide a flexible gathering place for special events, and guide visitors to the many venues within the urban campus. In January, a public visioning event will take place in the Cyclorama to explore the range of programmatic and spatial opportunities within the site. The results of this public event will be incorporated into the program requirements of the competition. Full details of the competition will be posted online in February of 2006.
new USA: Suitland Manor National Urban Design Competition Largo, MD. The Redevelopment Authority of Prince George’s County (RA) is conducting a national urban design competition focusing on Suitland Manor: the largest community rebuilding effort in Prince George’s County to date. RA is seeking a creative design proposal that could be used as a blueprint for future redevelopment at the Suitland Manor site. Open to all design and development professionals, as well as college students, the goal is to create a design that incorporates a vision for the future of Suitland Manor. Judging of the entries will be conducted by a distinguished panel selected by Dean Garth Rockcastle at the University of Maryland’s School of Architecture in College Park. A grand prize winner will be selected in late Spring to receive $5,000.Those wishing to participate are encouraged to register by February 28, 2006. USA: Four Corners Design Competition, Naples, Florida, USA -sponsored by the Antaramian Development Group and the Naples Bay Resort in conjunction with AIA Florida Southwest, the United Arts Council of Collier County and the City of Naples, Florida, Community Redevelopment Board. The competition study area lies between the city’s vibrant central entertainment and retail spine known as “Fifth Avenue South” on the West, and a planned major retail, office and residential development on the East, currently known as Grand Central Station. This development is expected to be equally as vibrant as Fifth Avenue South. This competition has been mounted to discover exciting ways to link these two focal areas, joining them into a new and grander Naples downtown. The competition also seeks to discover attractive ways to link this new enhanced core area to several other adjacent attractive areas. Registration Deadline: February 24, 2006. USA: AIA/LA Design Awards. Architects from all over are eligible if they have projects in the LA Area. Awards will be will be presented during AIA’s National Convention in Los Angeles in June. Registration deadline Feb 23rd 2006. UK: Auditorium for Corpus Christi College The RIBA Competitions Office is organising an Invited Design Competition on behalf of Corpus Christi College, Oxford. Architect-lead design teams are invited to submit Expressions of Interest for the design and construction of a multi-purpose auditorium to replace the Music Room built into the bastion of the City wall at Corpus Christi College, Oxford. The competition seeks contemporary designs that will integrate sensitive, high quality architecture within this truly historic setting. The Expression of Interest deadline is 4.00pm, Friday 17th February 2005. UK: Café-bar facility at the end of Deal Pier, Kent. The RIBA Competitions Office is organising an Invited Design Competition on behalf of Dover District Council for the renovation of the café-bar facility at the end of Deal Pier. Expressions of Interest are sought from architect-led teams that will be capable of producing a successful structural resolution for this exciting project. Deal Pier is one of two surviving piers in Kent and is the only new pier to have been built in Britain since the Second World War. The Pier is a well used amenity by visitor’s and local residents alike and is internationally recognised as an angling venue. The winning architect will need to be able to develop their design proposal to RIBA Stage D in sufficient time for a planning application to be submitted in late June 2006. Subject to a successful application, initial works on the new café-bar could commence in October 2006. From the initial Expressions of Interest, up to four practices will be invited to develop design proposals, with each of the teams receiving an honorarium of £4,000 plus VAT. The Expression of Interest deadline is 4.00pm on Wednesday 15 February 2006. USA: Request for Proposals -Pedestrian Bridges. New York City Department of Design and Construction are asking for consultant design and construction support for 15 Pedestrian Bridges in the Bronx, Queens, Manhatten and Brooklyn areas of New York. Submission deadline Feb 14th 2006. USA Young Architects Forum The Young Architects Forum is an annual competition and series of lectures and exhibitions organized by the Architectural League and its Young Architects Committee. The Forum was established to recognize specific works of high quality and to encourage the exchange of ideas among young people who might otherwise not have a forum. The theme for 2006 is “Instability”. Projects of all types, either theoretical or real, and executed in any medium, are welcome. The jury will select work for presentation in public forums, an online installation, and an exhibition at the Architectural League this spring. Competition deadline Feb 10th 2006. UK: International VELUX Award 2006 for Students of Architecture. The award takes place every second year and is open to students worldwide. The award wants to celebrate and promote excellence in completed study works and to acknowledge students as well as their tutors; therefore the tutors of the projects are awarded alongside their students. The overall award theme is “Light of Tomorrow”, reflecting a wish to explore and discuss the role of daylight in architecture. Daylight and sunlight are important factors in how buildings are perceived and in the daily lives of people, their health and comfort at home or at work. Register online by 10 February 2006. USA Concrete Thinking for a Sustainable World. The Association of Collegiate Schools of Architecture (ACSA) and the Portland Cement Association (PCA) announce the “Concrete Thinking for a Sustainable World” international student design competition. Sponsored by PCA and administered by ACSA, students will be challenged to investigate an innovative application of portland cement-based materials to achieve sustainable design objectives. The competition is open to all ACSA-affiliated schools around the world, including Canada. Unlike other competitions, the scope is for a portion of an academic term and not for an entire course or thesis. Students also have the flexibility to provide solutions as a single element of a building or a comprehensive building design. The competition registration deadline is Feb. 8, 2006, but the submission deadline is May 3, 2006. CATEGORY I: Aquatic Center. The 2005 2006 ACSA/AISC competition will challenge students to design an aquatic center. The facility will be a steel frame building with at least one long span steel structure. The program will contain a natatorium, locker/shower facilities, staff offices, recreational facilities, and other services to enhance the quality of the community. CATEGORY II: Open. For the second time the ACSA/AISC 2005 2006 Student Design Competition will offer architecture students the opportunity to compete in an open competition with limited restrictions. This category will allow the students, with the approval of the sponsoring faculty member, to select a site and building program. The program must contain at least one space that will require long span steel structure. The Open Category program should be of equal complexity and comparable size and program space as the Category I program. Register online by February 8, 2006. USA: ACSA: Eric W. Ellis / Concrete Competition Students investigate an innovative application of portland cement-based materials to achieve sustainable design objectives. Students have the flexibility to provide solutions as a single element of a building or a comprehensive building design. The scope of the competition is for a portion of an academic term and not for an entire course or thesis. FEBRUARY 8, 2006 Registration Deadline Feb 8th 2006. USA: Hospitality Transformed: Resort Hotels in 2055. Students are invited to investigate what the future holds for hotel design in the age of advanced technology and customized consumer experiences. Fifty years from now, the design of resort hotels and the experience of their guests are certain to be influenced by technologies that are in development today. This unique, digital design competition seeks original ideas about the scale and scope of changes in the hospitality industry. Registration deadline: February 8, 2006. Sweden: Ralph Erskine Award. Created in 1998, this prize (US$ 10,000) is conferred upon an individual, group, or organization for innovation in architecture and urban design with regard to social, ecological, and aesthetic aspects. The efforts of the applicant are to have benefitted primarily the less privileged in society. Applications should reach the Fund no later than 31 January 2006. Canada: Subtle Technologies is a four-day multidisciplinary event exploring complex and subtle relationships between art and science. Proposals are invited for presentation at the 2006 Subtle Technologies Symposium, June 1st – June 4th, 2006 in Toronto, Canada. Subtle Technologies’ mandate is to blur the boundaries between art and science. The annual event combines symposia, exhibitions and performances that juxtapose cutting-edge artistic projects and scientific exploration. Deadline: January 31st, 2006. UK: Urban Eyrie- A Haven in the City -Together with World Architecture News, the Royal Academy, Architecture Programme is launching an international competition to design an urban eyrie- a haven in the city. With the density of our cities escalating, finding personal space in urban environments across the world is becoming increasingly difficult. You are invited to use technology and your imagination to create innovative personal havens for enjoying the 21st century city. Entries Close 31 January 2006. USA: Ferrous Park in association with STRETCH and SquareOne Collaborative announces an international architectural design competition for the design of a housing project, fronting a sculpture park, with seven individual dwellings in the Crossroads Arts District in Kansas City, Missouri USA. The project seeks to offer an approach for integrating new housing construction into urban core redevelopment by preserving and strengthening the early aspects of a neighborhood identity as physical, social and financial development merges into a burgeoning neighborhood. Construction of the dwellings, scheduled for spring 2007, will emphasize new construction technologies, off-site production of building components and environmentally-friendly products and means of production (i.e. sustainable and green construction). Participant’s submittals must be received by January 31st, 2006. USA: Congress for the New Urbanism 2006 Charter Awards. Sponsored by the Congress for the New Urbanism, the annual Charter Awards set the gold standard for urban design and development. Instead of recognizing projects in isolation, the Charter Awards honor exceptional designs that complement, enhance or even repair their built and natural environments. Winning projects serve as powerful examples for future development. In 2006, jury members include foremost urbanists such as designers Leon Krier, Jacque Robertson, and Barbara Littenberg, and development analyst Todd Zimmerman. USA: 2006 Steedman Fellowship International Design Competition “A contemporary observatory for new dialogues among humans and non-humans” The Steedman Fellowship, granted since 1925, is awarded biannually on the basis of an International Design Competition. The Competition is supported by an endowment given to the Washington University School of Architecture in honor of James Harrison Steedman. The competition award is $30,000 and is open to all eligible graduates of professionally accredited degree programs in architecture worldwide. The deadline for registering is January 27, 2006. Mexico: 8th International Arquine Competition “A Site Museum for Tulum”. Different urban and architectural themes are addressed each year in the competition: “A Pedestrian Border Crossing”, “Re-Inhabiting the Center of Mexico City”, “The Twenty-First-Century House”, “Documentary Center of Modern Latin-American Architecture”, and “The Park of the Senses”, among others. This year’s competition deals with the theme of a site museum in an archeological area -Tulum- favouring contemporary languages capable of dialoguing with the landscape and the prehispanic legacy in a discreet way, and avoiding the example of less successful attempts in this field, whose desire for protagonism competes with the preexisting architecture. Registration until 27th January 2006. Pakistan: DESIGN[ER] : Earthquake Resistant Housing for Pakistan An open call for earthquake resistant housing ideas for a manual for rebuilding in Kashmir. On October 8th a 7.6 magnitude earthquake rocked the region near Kashmir, less than 65 miles from Islamabad, Pakistan. The death toll stands at over 87,000+, with another 80,000 injured. An estimated 3.3 million have lost their homes. The real need is not only in relief and recovery but the transitional and long term shelter needs of those displaced – shelter that must be earthquake resistant for the future. Many more will die due to inadequate protection in the coming months and a second tragedy is unfolding. The international reconstruction, engineering and design community needs to respond. USA: Burnham Prize 2006 “Learning from North Lawndale: Defining the Urban Neighborhood in the 21st Century”. Today there are approximately 5,000 vacant lots scattered throughout North Lawndale, half of which are owned by the City of Chicago. This competition seeks proposals that address these lots or the urban fabric in-between. The neighborhood of North Lawndale, on the west side of Chicago, has a unique history. It was a home base at one time for Martin Luther King, and before that, for Golda Meir. It was the birthplace of the Sears and Roebuck Company and McCormick Reaper Company which were part of a now vanishing industrial history that once provided many jobs. It was a locus of upheaval during the riots of the 1960s and is now home to one of the poorest communities in the City of Chicago. Final Registration 20th Jan 2006. UK: Pestalozzi International Village -Selection of an Architect by Competitive Interview. Expressions of interest are invited from architects with a sensitive, yet bold and imaginative approach, for the opportunity to design a masterplan for the Pestalozzi International Village. The competition is being organised by the RIBA Competitions Office. Pestalozzi International Village Trust (PIVT) is an educational charity, founded in 1957 and based on a 175 acre estate in an Area of Outstanding Natural Beauty just outside the village of Sedlescombe, East Sussex. Its estate, which is located in a magnificent setting on a hilly, undulating site including woodland and pasture land comprises a large number of accommodation, office, educational, farm and support buildings – many of which are at the end of their economic life. PIVT now wish to embark on the major renovation and renewal of their estate to meet their requirements in the 21st century. The deadline for expressions of interest is 19 January 2006. Canada: Design Ideas Competition for Absolute in the Greater Toronto Area. Fernbrook Homes and Cityzen Development Group are pleased to sponsor a design ideas competition for a landmark building, expected to achieve a prominent height ranging between 50 and 60 floors, as part of the fourth phase of the Absolute development in the City of Mississauga, the second largest city in the Greater Toronto Area. The competition is intended to further develop the urban planning vision of the Mississauga City Centre. The objective is to create an ensemble of high quality buildings that contribute to the ongoing evolution of the Mississauga City Centre, and the establishment of a strong residential neighbourhood. Submissions for the Design Ideas Competition are due January 16th. USA: Florida InsideOut magazine is soliciting sketches and computer drawings for a reimagining of Biscayne Boulevard in Miami between NE 58th Street and NE 79th Street. Specifically, they are asking readers (especially architects, city planners and designers) to help conceive of new uses for the older motels that line the boulevard. Once affordable vacation spots for the middle class families, the motels, which include ones with iconic signs, have become section 8 housing or worse, with police cars a familiar sight. Submission due date: January 15th 2006. Germany: 4th International Bauhaus Award 2006 Updating Modernism In 2006 the Bauhaus Dessau Foundation will be presenting the 4th International Bauhaus Award. The award is presented every other year to young designers, artists and researchers for innovative work on the city, on architecture and design. Conferred for the first time in 2000, the award has advanced to become an internationally acclaimed competition. With its eye on a critical examination of Modernism, the Foundation uses the award to promote, in particular, ideas and projects that identify with the basic values of Modernism while updating them to cater for future needs. The theme for the 4th International Bauhaus Award is “Updating Modernism”. How do we update Modernism in the case of the Bauhaus World Cultural Heritage? The Foundation is interested in forward-looking ideas for the Gropius Director’s House in the Ensemble of Masters’ Houses in Dessau. Closing date 9th Jan 2006. Italy: Opus Transformer 2006 -Salone del Mobile, Milano. This year OPOS aims at directing the research in design towards the idea of transformation. Our contemporary world, at any latitude and longitude, seems to be dominated by change. Though in apparent absence of ideologies and major positive utopias, the material and immaterial environment experience non-stop changes at the speed of thought, of calculation, of communication. So do people, places, objects and their values. The deadline for submitting projects is 7th January 2006. USA: 06 SKYSCRAPER architectural competition - international competition for students, architects, engineers, and designers willing to propose new ideas on the concept of vertical density. What is a skyscraper at the beginning of the XXI Century? What are the historical and social contexts of these mega-structures? What are their responses towards the existing urban fabric? Is the modern skyscraper a city by itself? Is the human scale lost? Registration deadline is January 5, 2006.